What are they laughing about? 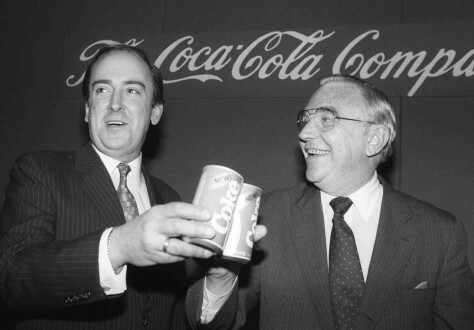 Roberto C. Goizueta, chairman and CEO of Coca-Cola, left, toasts New Coke with Donald R. Keough, the company's president, in 1985. Celebration would turn to defeat within months as Americans rejected the tweak on the classic drink.